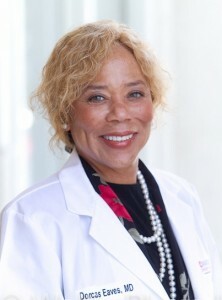 Spring Sports Injuries by Dorcas Eaves, M.D. Spring sports are finally here! Pain or injury will take the fun out of any sport. I compiled a list of the most common injuries to help you and your family through the season safely. This list includes treatment information and prevention tips. Have fun and be safe! Heat Stroke and Heat Prostration occur when the body cannot keep itself cool. When the body temperature rises too quickly and too high, illness and other medical conditions can occur. Heat Stroke is the more serious condition, but Heat Prostration is also significant. Heat Prostration aka heat exhaustion occurs when the body is overheated by weather and/or physical exercise. The body’s temperature can reach up to 104 degrees. The most common types of injuries for all age groups are sprained or strained knee ligaments and/or muscles, torn cartilage in the knee, tendonitis, upper and mid leg fractures and ankle fractures. Sprained/Strained Knee Ligaments and/or Muscle: A sprained or strained knee ligament/muscle is usually caused by a blow to the knee or a sudden twisting of the knee. This results in pain, swelling of the tissue of the knee and/or difficulty with walking. Your doctor may or may not order X-rays on the initial evaluation. Leg Break: Immediate first aid treatment for a break consists of fracture stabilization, ice, elevation and evaluation by a physician. A Black Eye results from injury to the face or the head and is caused by blood and other fluids collecting in the space around the eye. Most Black Eyes are relatively minor and many heal on their own. As the Black Eye heals, the swelling around the eye decreases and the bruise gradually fades. The bruising will usually start out as a very dark purple and as is fades it may change to light purple, then greenish, then yellow before disappearing. The most common cause of a Black Eye is a blow to the nose or forehead. The blow to the nose often causes both eyes to swell from the nasal injury and the fluid collects in the loose tissues around the eyelids. A more serious cause of a Black Eye is head injury due to a Basilar Skull Fracture. In this situation, the eyes have the appearance of “Raccoon’s Eye”. This is a more serious condition and should be evaluated by a medical professional in an emergency room. Hold 1 finger in front of the individual and ask “How many fingers do you see”? The answer should be 1. Ask the individual to follow your finger (one only) by only moving his/her eyes and not his/her head. Move the finger in front of the eye from left to right (or right to left) toward the ears then up and down (or down to up) toward the forehead and chin. If the both eyes move in the same and equal distance in all directions, the probability of an eye injury is small. If there is any discrepancy in the eye movement, the individual should be seen by a medical professional in an emergency room. A concussion is a Traumatic Brain Injury that may cause headache, altered level of consciousness, or unconsciousness. It temporarily interferes with the way your brain works. It can affect memory, judgment, speech, balance, coordination, reflexes, and sleep patterns. In baseball for example, concussions can be caused by a bad fall or being hit in the head with a hard ball which causes a significant jarring of the brain. Usually there is a loss of consciousness (black-out) but there are also some conditions in which a black-out does not occur. Although foot injuries can occur from a variety of causes, the most common cause is trauma. Other causes include (1) rapid or improper warm-up, (2) overuse, (3) intense workouts, (4) improper footwear, and (5) playing on hard surfaces. The most common type of foot pain can develop around and be centered on the heel of the foot. Common causes of heel pain are ill-fitting shoes, rapid or improper warm-ups, over use, and intense workouts. Injury can be prevented by appropriate stretching exercises before playing. In sports, teeth are susceptible to being hit. Dental injuries include broken teeth, teeth totally knocked out of the mouth, or teeth displaced by unexpected external forces. These dental accidents may be associated with swelling of the gum and oral tissue. Tooth fractures can range from minor (involving chipping of the outer tooth layers called enamel and dentin) to severe (involving vertical, diagonal, or horizontal fractures of the root). Cold packs or ice cubes placed either inside the mouth, directly above the injured tooth, or outside on the cheeks or lips, can reduce pain and swelling before the patient reaches the dentist. Dental X-rays are necessary in most instances to diagnose, locate, and measure the extent of tooth fracture. Breaks are generally the result of a direct force or trauma to the jawbone. Sports injury from balls or kicks, or from sliding or falling down during play, are also a common source of injury. Since baseballs are flying during a game, it is possible for the ball to hit the child’s jaw from the side or face forward. Unfortunately, even mouth guards won’t provide protection. Back injury playing sports can occur from bending too low, jumping at angles, or hyper-extending your body. Symptoms usually decrease after 3 days, and they should subside between 1-6 weeks. A safe return to play is only possible when the patient does not feel pain or discomfort. A return to play under pain medication is not recommended because the medication may take away the body’s natural warning signal to stop a painful and subsequently harmful action, thereby increasing the risk for aggravating the existing injury or causing re-injury. A pulled shoulder occurs from catching high balls, throwing a ball to a base with all you’ve got, or from hitting so hard with a bat, it cracks. A pulled muscle anywhere on the body is also known as muscle strain and occurs when the muscle is stretched too far and small tears occur within the muscle. Pitcher’s elbow also known as medial epicondylitis (epee-kon-di-lie-tis) causes pain from the inside (medial) of the elbow to the wrist. The wrist pain is caused by damage to the tendons. Think of the tendons as connectors from the lower arm (forearm) to the hand that allows you to bend your wrist. The most common cause of Pitcher’s Elbow is excessive force used to bend the wrist toward the palm of the hand with repeated hard-slamming throws. The most common symptom of Pitcher’s Elbow is pain along the palm side of the forearm from the elbow to the wrist on the same side as the little finger (pinky finger). The pain is felt when you bend the wrist toward the palm against resistance e.g. throwing a baseball. Murr AH, “Maxillofacial Trauma” in Lalwani AK, ed., Current Diagnosis and Treatment in Otolaryngology-Head and Neck Surgery, Lange Medical Books/McGraw-Hill, New York, 2004, pp. 209-220. The information provided is for general interest only and should not be misconstrued as a diagnosis, prognosis or treatment recommendation. This information does not in any way constitute the practice of medicine, or any other health care profession. Readers are directed to consult their health care provider regarding their specific health situation. Marque Medical is not liable for any action taken by a reader based upon this information.